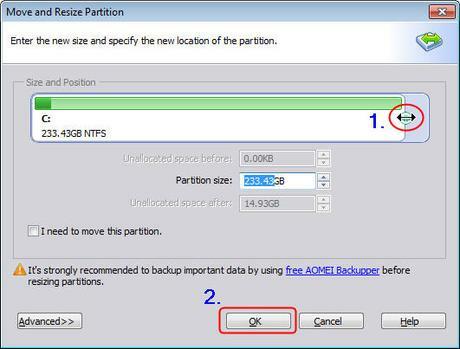 AOMEI Partition Assistant is a disk formatting tool that has seen its fair share of use over the years. Initially, its functions of disk formatting and transfer were of more use to tech-savvy users running multiple machines with the need to regularly trim and resize partitions on the fly, but modern incarnations of the software have incorporated features that make it more appealing to the average user. The best part? Most of its heavily used features are totally free. Unlike many freeware programs of its kind, Partition Assistant is a fully fledged suite of disk management functions. It’s not waiting for you to try and select options only to receive a “buy now!” prompt in return, making it much more user-friendly and straightforward to use. It comes in both a standard freeware edition (free) and a paid professional edition (£40 GBP, give or take) and occasionally winds up bundled with another AOMEI program as a fairly consistent special deal. There’s a heavy chance most average users will be able to make it through their average formatting and partition-related needs without ever needing to make a paid upgrade. It works on every system from Windows XP all the way up to Windows 10 and supports both 32-bit and 64-bit architecture. From a UI standpoint, Partition Manager doesn’t look out of place when stacked up against the built-in Windows partition management software, though it does endeavour to explain its features in more depth through a built-in wizard. The wizard is both one of the handiest features yet also one that may trip up some users owing to its occasionally obtuse instructions in English that don’t always convey their meaning in the best way. Yet that remains one of very few marks against the software as the rest of its features are straightforward and powerful without the majority of them being locked behind a paywall. At its most basic level Partition Assistant can be utilized to create, merge, resize, delete, format and securely wipe a partition quickly and easily. If you have less experience with managing your PC, you can turn to the built-in wizards to walk you through the steps required for several of these functions. There’s also a wizard for migrating an existing hard drive to an SSD in case you’ve made a hardware upgrade and don’t want to reinstall Windows from scratch. Where the program really shines is in its special features that seem like fringe use cases, yet are extremely valuable to those who need them. Anyone with an Enterprise install of Windows 8 and newer has likely seen Windows To Go, an option that allows for the operating system to be installed to and run from a USB drive. With Partition Assistant, you can make your own Windows To Go installation with non-Enterprise versions of Windows all the way back to Windows 7, a feature previously unavailable at the OS level. One of its recent updates also brought about a wizard for securely erasing SSDs. Some programs struggle with completely wiping data from SSDs without performing excessive writes that can lead to lowered performance and a shortened lifespan from the targeted drive. Partition Assistant manages to wipe SSDs surprisingly quickly and without using as many read/write cycles and can even improve drive performance if you notice slowdowns after several months of use with your current SSD. 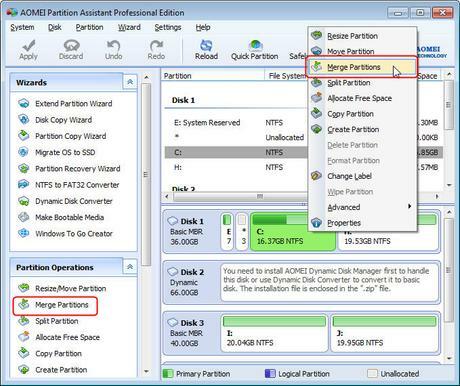 At its core, AOMEI Partition Assistant is a free partition manager yet extremely powerful tool that offers many features that other programs expect you to pay for. Its built-in wizards are helpful, albeit occasionally clunky from a language standpoint, but the ability to perform so many critical partition management features without dropping an exorbitant amount of money makes it an appealing option to system administrators at a hobbyist.